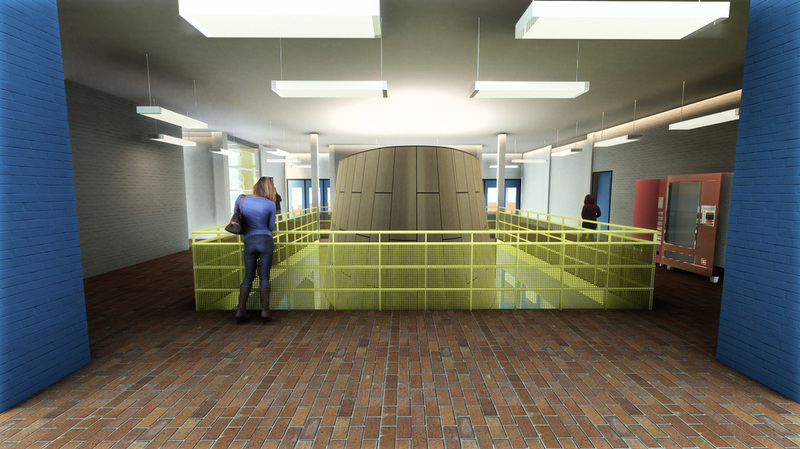 The proposal for the new CKUW EOI radio station was centred on a strong desire to create an open, accessible space immersed in the public life of the university, while also balancing the necessary requirements for acoustics, security and production. 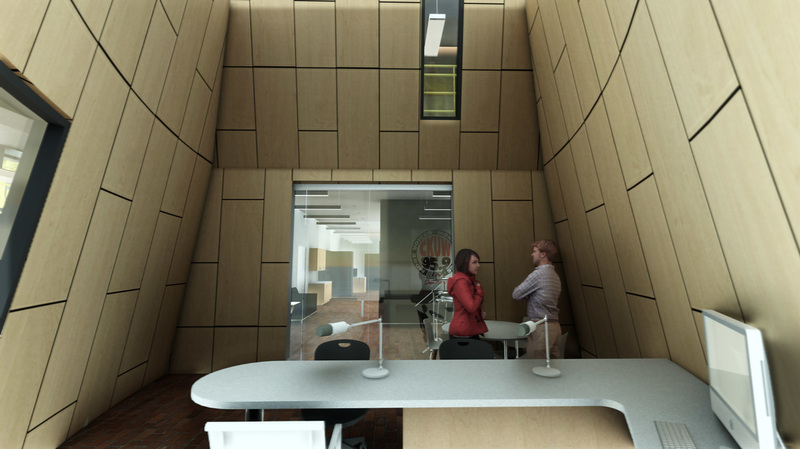 This was achieved through an innovative, bold design of Baltic Birch panels. 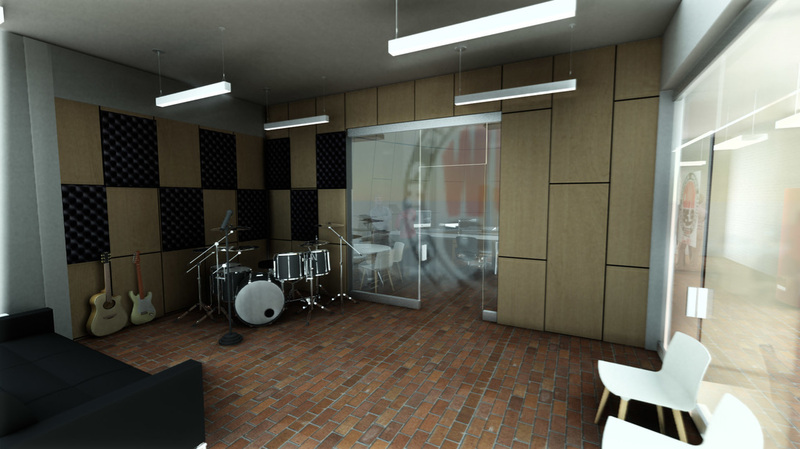 Within the radio station, the “On Air” studio curves outward into the main floor entrance. Located in the heart of the public space, the studio itself is highly visible. 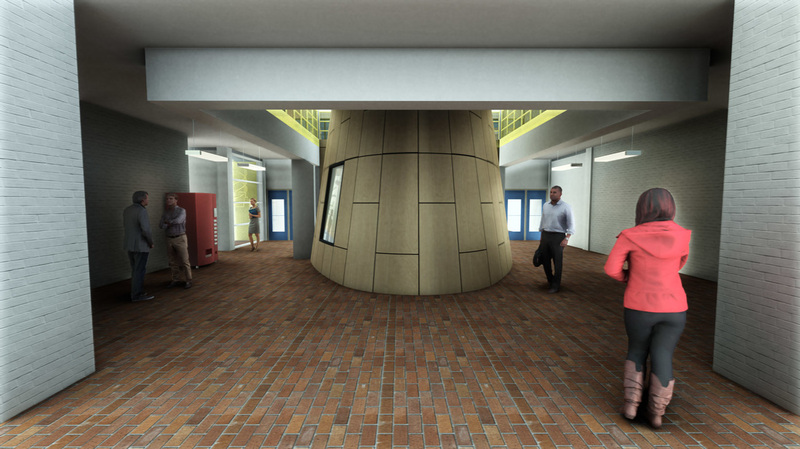 Selectively glazed panels allow for glimpses into the station, while still allowing for privacy.